IT USED to be if you wanted to buy a movie ticket you would need to check the showtimes and availability within multiple cinema chain apps. That is a pain point that Malaysian movie ticketing aggregator WeTix is looking to solve. The company recently announced a strategic partnership with Golden Screen Cinemas, MBO Cinemas and mmCineplexes to provide moviegoers with the convenience of directly purchasing movie tickets within the WeChat Pay MY e-wallet. 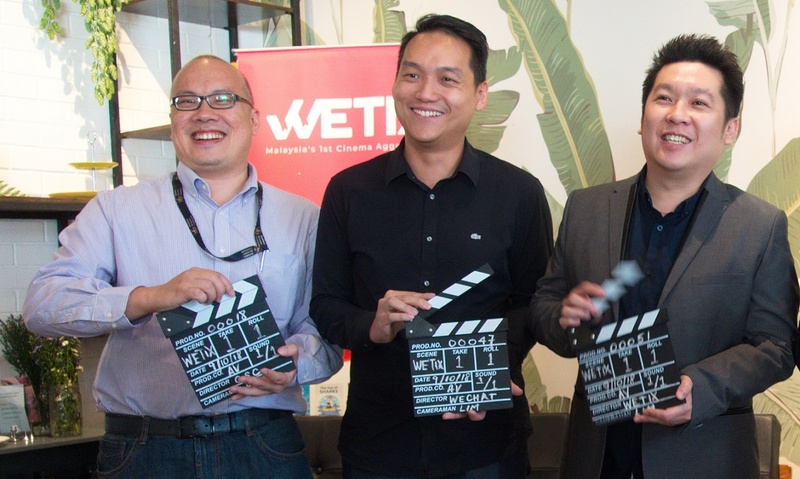 WeTix was founded in 2016 and remains as the first and only movie aggregator in Malaysia. It’s founder Lim Kar Aik explained that the platform was born from his frustration in browsing multiple apps and websites just to book a movie ticket. By aggregating multiple cinema chains onto a single platform he hopes that WeTix will provide greater convenience to moviegoers. Customers would be able to check for the latest showtimes, watch the trailer, book their seats and make their payment all without leaving WeChat Pay’s app. Interestingly, WeTix does not operate through a mobile app but it often sits as a part of the e-wallet app that it partners (This sentence was editted for clarity). WeChat Pay is not be the only e-wallet that WeTix looks to partner with as it is already in talks to roll the service out on Maybank QR, Boost, Touch n Go eWallet and Presto by the end of this year. WeChat Pay MY chief executive officer Jason Siew said the company has seen this movie aggregator model work in their home market in China, so it made sense to partner with a local player operating on a similar model. “Entertainment is a core necessity among today’s users and having the ability to easily buy your movie ticket alongside your mobile top-ups and public transport tickets offers greater convenience to our users,” he said. When asked if there would be any additional fees charged to customers for using this service, Golden Screen Cinemas senior marketing manager Lionel Loh Keong Chung assured that ticket prices would remain the same. Though there is a booking fee charged, it is the very same fee that customers pay when they book online. Loh added that the move made sense for GSC as it is better to partner with one ticket aggregator platform to reach out to more customers who are growing more comfortable transacting in a cashless manner. Nearly 30% of GSC’s customers buy their movie tickets online. In conjunction with the launch, WeChat Pay MY will be running a promotional campaign from Oct 10 to 24 for movie tickets purchased within its e-wallet via WeTix. WeChat Pay MY users that spend a minimum of RM30 on movie tickets and snack will receive an instant discount of RM10. In addition, WeChat Pay MY users can also get RM3 off with every mobile top-up of RM10 through WeChat Pay MY.